Mare Plus – a concentrated, scientifically formulated and balanced vitamin-mineral concentrate, crumbled and flavored for taste appeal. Keeps broodmares in optimum condition during all stages of breeding. Mare Plus Horse Supplement has different options and/or variations, please choose below. Nutrient requirements of the broodmare increase significantly during gestation and lactation. Plus, in order to conceive, the mare must be in optimum condition. 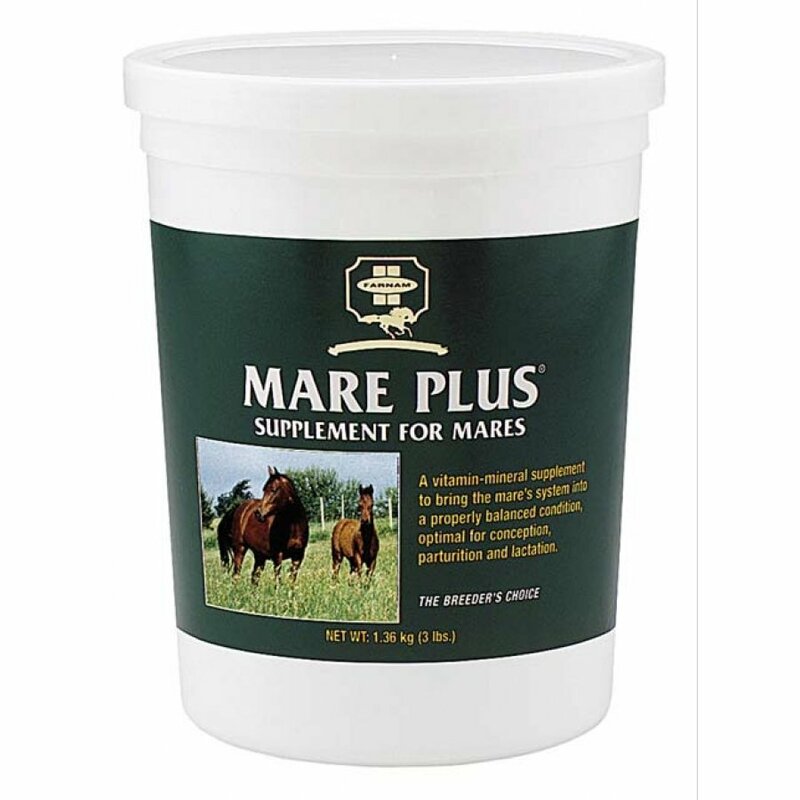 Mare Plus supplies vitamins A and E to supplement and augment these vitamins found in the natural diet. 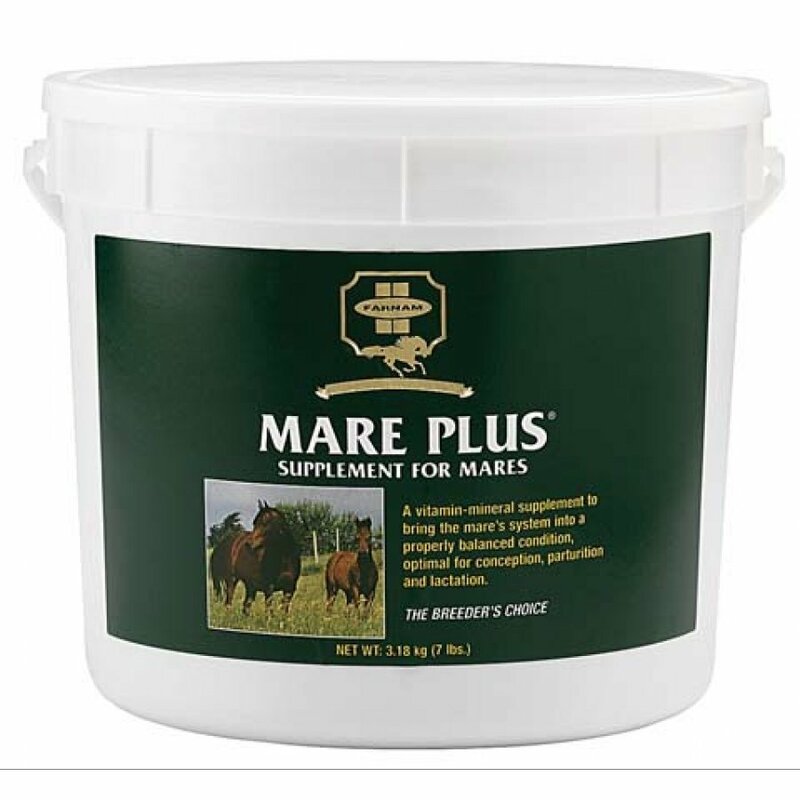 Mare Plus also provides a source of calcium, phosphorous and vitamin D 3 for replacement of these nutrients of the mare demanded by the requirements of the unborn foal. Made in the usaCrude-Protein, Fat, Fiber, Calcium, Phosphorus, Salt, Potassium, Magnesium, Cobalt, Copper, Iodine, Iron, Manganese, Selenium, Zink, Vit-A, D3, E, B12, B6, Riboflavin, D-Pantothenic Acid, Thiamine, Niacin, Folic Acid, Choline, P-Amino Benzoic Acid.